Nuts and seeds are healthy sources of nutrients that are vital to the human diet. However, did you know that there are strict requirements for a nut to be called a “nut,” and for a seed to be called a “seed?” For example, the infamous almond nut is technically not a nut and the sunflower seed you know is actually not the seed itself (the seed is inside). Mind blown? Confused? You’re in the right place. In this article, the difference between nuts and seeds will be discussed. Scientifically speaking, nuts are one-seeded or two-seeded dried fruits encased in a hard shell called “pericarp.” They are indehiscent, which means they do not crack open and release the seeds on their own upon reaching maturity. The hard shell has to be manually opened by using a mechanical tool (i.e. nutcracker). Most nuts are edible and are rich in good fat, proteins, vitamins, and minerals. Because of the high oil level in nuts, they are very popular as “energy food.” Nuts can be eaten raw, cooked, roasted, or as an ingredient in baked goods. They can also be a good source of oil used in cooking and beauty products (for their vitamin E content). Considering the scientific definition of nuts, we can say that the famous “nuts” like peanuts, pecans, almonds, and walnuts are actually not nuts. Peanuts are legumes while pecans, almonds, and walnuts are drupes, which is another category of fruits. 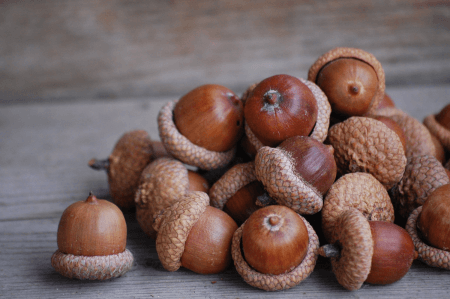 By definition, acorns, hickories, chestnuts, hazelnuts, and beechnuts are considered “true” nuts. However, the term “nut” is loosely used in common usage and in the culinary context. Pistachios, Brazil nuts, almonds, walnuts, and cashews are considered “culinary nuts,” although they are not technically nuts when we consider the botanical definition. Basically, any oil-containing kernel found inside a hard case or shell can be called a “nut” in the culinary context. On the other hand, seeds are small plants that contain stored food that provides nourishment to its mother plant. They are covered by protective coats called “husks” or “seed coats.” They are produced by the plant as part of its reproductive process and usually separate from the fruit on their own. Some seeds are edible and are in fact widely eaten by humans as rich sources of fiber, protein, fats, vitamins, and minerals. They can be eaten with or without the coat. They can be eaten raw, roasted, or as a recipe ingredient. 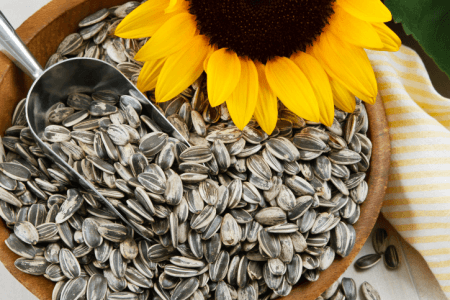 Examples of seeds are pumpkin seeds, sunflower seeds, poppy seeds, sesame seeds, and flax seeds. What, then, is the difference between nuts and seeds? Nuts are one-seeded or two-seeded dried fruits that are encased in a hard shell, whereas seeds are small embryonic plants inside a husk or seed coat. Seeds are the reproductive part of the plant, while nuts are fruits of the plant.